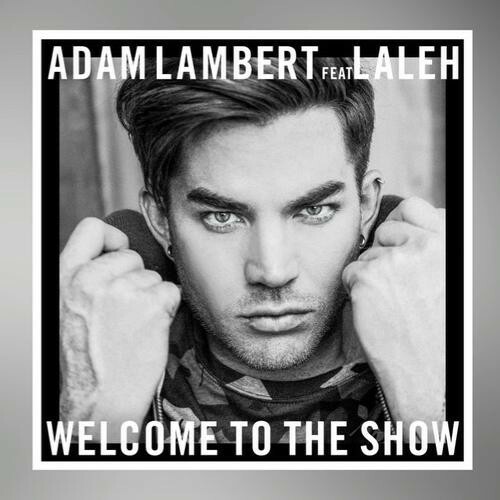 You are here: Home / More Featured Posts / Adam Lambert Plays With Us on Twitter Then Finally Releases a Partial Song Clip! Adam Lambert knows how to excite his audiences, whether live on-stage or over the internet. And the last 24 hours have been no different. Even though he’s suffering from strep throat (which has just forced him to cancel tonight’s Clearwater, FL show) he’s still a marketing madman! Sunday afternoon he started setting Twitter on fire when he posted a huge announcement. You could almost feel the electricity from him as he tweeted. Something you have NEVER HEARD ! #cantgohome is referring to the collaboration with Steve Aoki. Then a clue was given. What was it? Lyrics? Script? An emotional admission? "IM GONNA LET THEM STARE- THEY FEEL LIKE ME OUT THERE"
Then at EXACTLY 9 AM (EST) this morning, he released it. It must have been a pre-set tweet because it’s the most on-time he’s ever been. LOL! Look at the time stamp on it, case closed! At the very last second of this clip you can hear a thunderous beat. It’s got to be followed by a rocking verse, right?!? With an iTunes release date of 3-17-16, one of the biggest questions is will he sing it on American Idol on Thursday or will he sing The Original High? So we know: we’re buying it on iTunes Thursday, not downloading it for free, so it will have HUGE sales numbers and be #1; we’ll have it memorized by the time he hopefully sings it on American Idol that night; it’s produced by Ali Payami from Ghost Town; and it features a Swedish singer, Laleh. Read more about Laleh here. Will he sing it on any of his remaining USA tour dates? By the way, for all of you coming to our Pre-Show Fan Dinner April 2nd at Umami Burger in Los Angeles, the response was overwhelming and we’ve secured a private room! I’m worried about his voice. He is due to come to Milwaukee next week and I have tickets. Plus I’m going to Chicago the next day. Hopefully he’ll be ok. I’m quite concerned about this new song. Why not something off his new album? Are they afraid to release a single? I don’t get this. I hope the song’s ok. I probably will tape IDOL and not watch it until I hear how it goes. Hoping for the best. Everything Adam does is exciting! He is so talented. And so glamorous I also hope he takes care of his voice. He is always going to be a big star. I knew it from when I first met him. I am sure what ever he sings on American Idol will be nice. Love you Adam! Rock on!. These teasers of his work are always so exciting & nerve racking at the same time! I hear what you are saying Glamity58…why not something to promote his latest album that is upbeat…like “Evil in the Night”?? Which I LOVE! I’m still not sure why they selected Ghost Town as the first single release? I do like the song very much…BUT he needs to really give us something strong & super catchy to compete with all the other artists on the radio and many that are AVERAGE at best!! I do look forward to seeing him preform this new song/anthem on Idol…hell it will be the “Highlight of my week”. It is only fitting considering this is Idols last season which I can’t believe since I have watched them ALL. It just seems that Adam is still having trouble getting radio air time…which I JUST DON’T UNDERSTAND? His albums are very strong bodies of quality work! He deserves to be PLAYED GLOBALLY!!! “Long Live Adam”! This intro sounds like it could lead to something exciting!